Neustadt an der Weinstrasse lies in the heart of the Palatinate region of Germany and literally translated means ‘New Town on the Wine Street’. 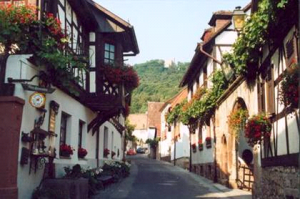 It is an historic town with beautiful historical buildings and is Germany’s largest wine-growing community. Neustadt, and its nine adjoining villages, is surrounded by beautiful vineyards and countryside. The twinning relationship with Lincoln was formed in 1969 and is one of the oldest, strongest and most successful in the Country. The most important feature of the partnership, however, is the personal exchanges between the citizens of Lincoln and Neustadt and the understanding and friendship which this creates.